Our custom navigation makes it easy to access everything you need within a course without having to move out of current windows to view menus. This means less transition time and a platform that doesn't get in your way. 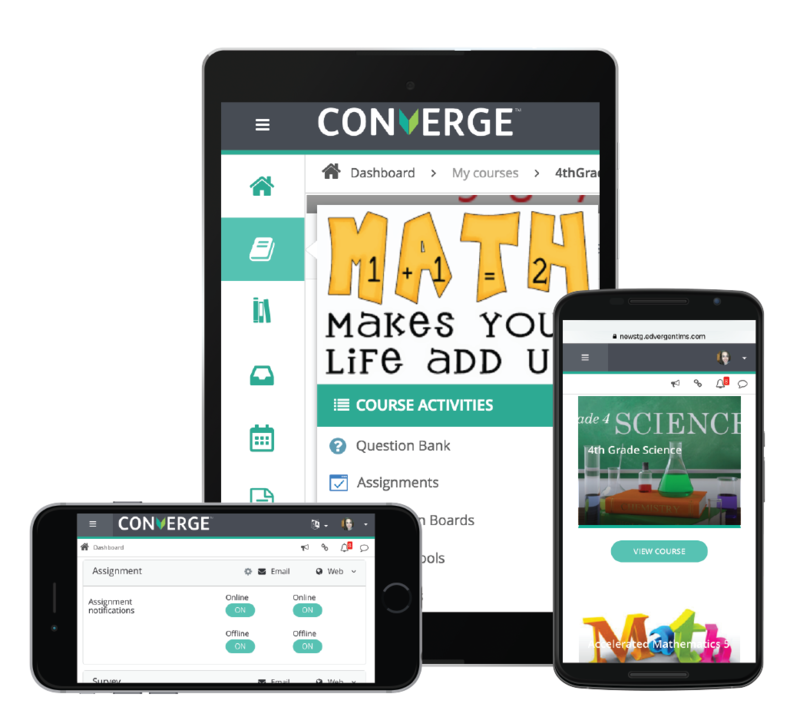 Responsive design means Converge automatically adjusts to your screen size, giving you an intuitive and consistent experience on any device without the hassle of downloading and updating apps. 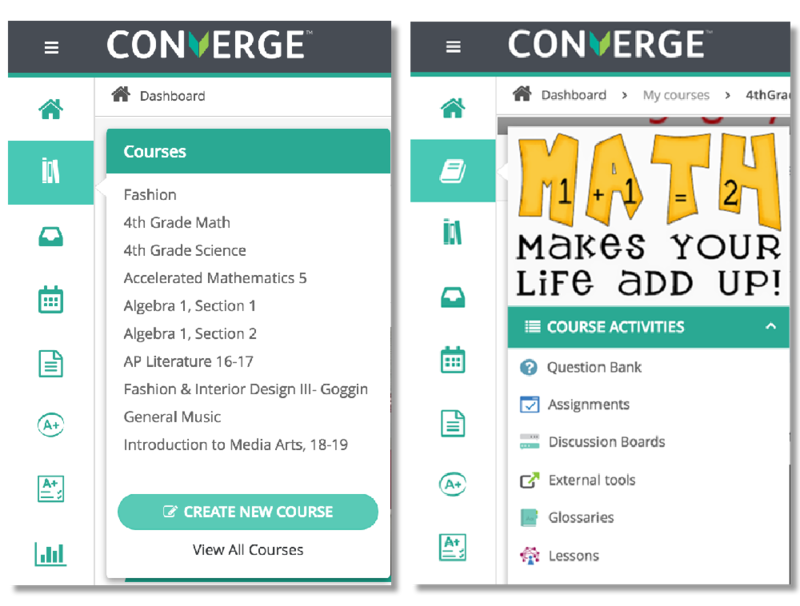 Easily expand and dismiss side menus, learning timelines, and dashboard widgets for a customized user experience. You control the display to reflect your learning needs. 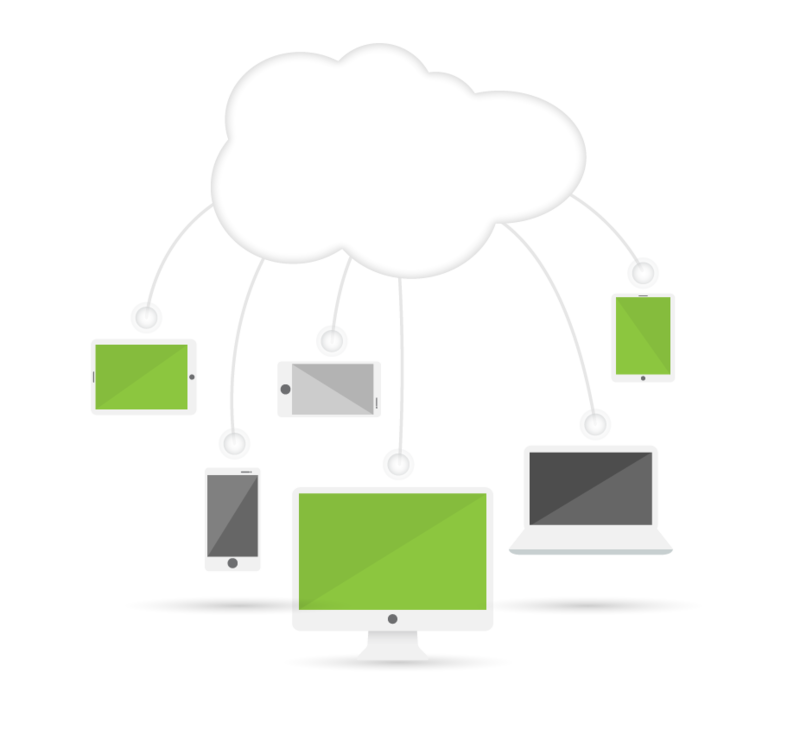 Converge completely exists in the cloud, ensuring that you always have the most up-to-date features and upgrades with no productivity loss. Advanced security features mean your data is always protected. 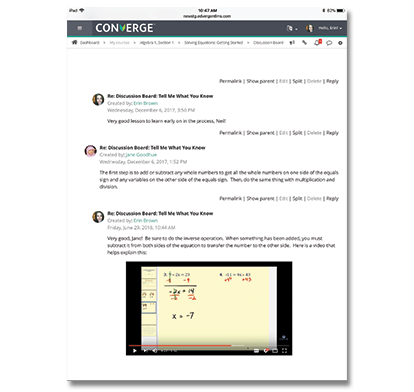 Engagement-boosting discussion boards and blogs encourage meaningful interactions that deepen student understanding while promoting responsible digital citizenship. Nested discussion threads clarify conversational flow and encourage peer feedback.